Creating Massive Value is The Key to Building Wealth! Just fill out the simple form below. You can unsubscribe at any time. In 2012 Dallas Seavey, at the age of 25 became the youngest person in history to win the grueling 1,049+ Mile Iditarod sled-dog race from Anchorage to Nome Alaska. Early last Tuesday Morning, my family stayed up all night on the edge of our seats to follow his progress as he did it again in an EPIC come from behind upset! Becoming the 2014 Iditarod champ and SMASHING the previous record with a time of 8 days, 13 hours, 4 minutes, 19 seconds! 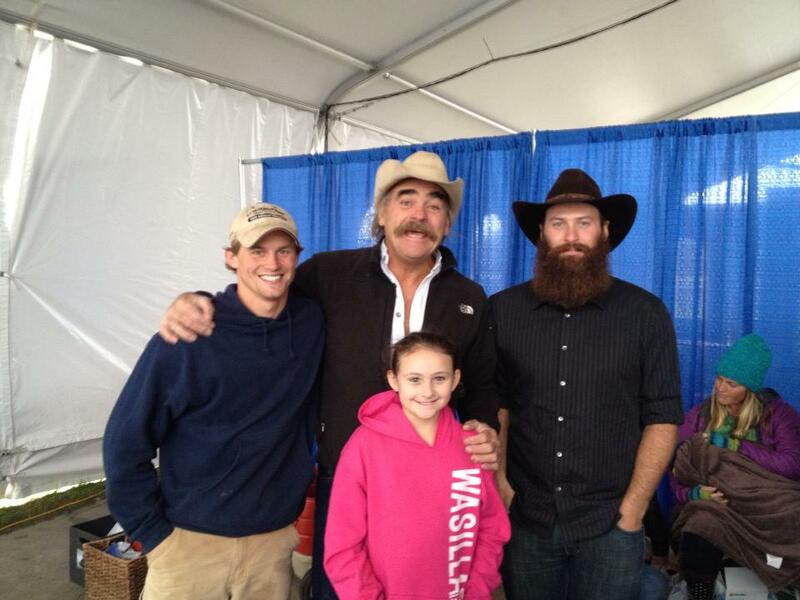 I first met Dallas last Summer when my daughter and I attended the Alaska State Fair as guests of family friend Marty Raney, one of the stars of National Geographic Channels hit TV show “Ultimate Survival Alaska“. Dallas and Marty have participated in both seasons of the hit TV show, surviving and competing in over 23 expeditions all over the State of Alaska. While hanging out with Marty and the cast in the Nat Geo booth at the fair, I got to spend a fair amount of time talking with Dallas about his life and adventures. In listening to him describe the methodical, scientific, yet full-throttle approach he takes to training for and winning sled-dog races, I recognized a kindred-spirit. This guy was a true Champion! He possessed the exact same traits, habits and mindsets I’d observed in countless other top performers, champions, entrepreneurs, and self-made millionaires I work and associate with on a daily basis. He signed a copy for my daughter, and for the next couple weeks, we read Dallas’s book together as her bed-time story. But I was so impressed by the wisdom he shared, and the glimpses the book gave into the mindset of a true champion, I re-read the book myself, carefully highlighting key passages and taking notes. In speaking with and spending time with Dallas, as well as reading his book, following his performances on Ultimate Survival Alaska, and his latest Iditarod win, I’ve identified several key lessons anyone can learn from this amazing young champion! Those who win in life, business or the Iditarod trail have one big thing in common. They THINK different than those who lose or quit. I’ve found that in nearly every area of achievement the “2% Rule” holds true. The difference is not in physical skill, genetics, talent or ability. The difference between the 2% and the 98% is found in their MINDSET. Champions see opportunities, where the other 98% see risks. Champions train, while the other 98% sleep. Champions read and study, while the other 98% watch TV and play video games. Champions seek out and associate with other champions, while the other 98% hang out with those who whine and complain. Champions PROACTIVELY protect their mindset and attitude, while the other 98% REACTIVELY allow the media and their negative emotions to dictate their attitudes. 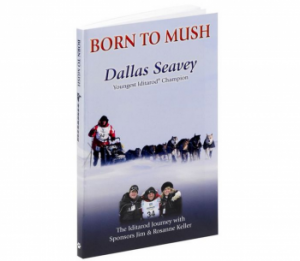 Dallas Seavey is no exception. Already a champion wrestler, on track to go to the Olympics, Dallas suffered a carrer ending injury. He applied the world-class thought processes, habits and competitive spirit that made him such a successful wrestler to winning the Iditarod. Everybody who decides to compete has the “will to win”. If you ask anyone in the 98% if they WANT to have greater success in life, they will tell you “Yes”. But only Champions have the will to put in the countless, painful, thankless hours of training and preparation that it takes to perform at a world-class level. For “2%ers” like Dallas, there really isn’t an “off-season”. Even though the Iditarod is only run once per year, Dallas spends the rest of the year training and testing his dogs (and himself) to make sure they are at peak condition for the race. Often spending more nights outdoors on the trail during training runs than he does in his own bed at home, he trains his team in the most extreem conditions he imagines they could possibly encounter while running the Iditarod. Unfortunately, I’m afraid that phase is responsible for a great deal of failures in recent years. While working “smart” is great, and I (and other champions) are always looking for leverage points that can give us an edge, too many people (about 98% of them…) are too focused on the “not harder” part. They are looking for short-cuts and magic-pills that will get them off the hook for doing the work. This is NOT how champions think! Not only does he out-work the competition in training, he out works them on the trail as well. Dallas wears trail RUNNING SHOES and rather than letting his dogs do all the work, pulling him up the hills, he jumps off the sled and RUNS up the hills (and mountains) to help his dogs conserve energy! Even on stretches of trail too icy for him to run and get traction on he is using a ski-pole to continuously, mile after mile, push his sled forward and take part of the load off of his team. THAT is a champions work-ethic! Most people in life “make it up as they go”. They flow from one day to the next, one year to the next, just taking what life (or the trail) gives them. One of the key mindset differences between the 2% and the 98% is the difference between living proactively or reactively. Champions and those in the 2% chose to live PROACTIVELY. We believe that we have the power to script and create much of our future the way we want it to go. But in order to live proactively, you must be willing to put in the work to study and plan the path you wish to travel. Dallas does this like a MASTER when it comes to running the Iditarod. He has run and became familiar with every single mile of the 1,049 mile trail. He makes sure his lead dogs are familiar with the trail. But he doesn’t just stop with knowing the route. He also studies past races, times between checkpoints, rest times, other racers habits and patterns, other racers dogs, weather conditions, wind speeds, snow depths, and dozens of other data-ponts. He uses all of this data to plan and plot every leg of his race with exacting precision. Planning down to the minute, how long he needs to take between each of the checkpoints, how long he will rest his dogs at each stop, which dogs he will have in which positions… EVERYTHING. Dallas plans EVERYTHING. 5. Champions Know That Success is a Marathon, Not a Sprint… And They Conserve and Maintain Their (and their teams) Energy For When It’s Needed Most! This is one of the most brilliant and masterful parts of the “Dallas Seavey” strategy to winning long races. Rather than trying to go out “like a rabbit” and run in front for the entire race, he has the patience to stick with his planned run-rest timetable, and conserve his teams energy for the last big push. Because of this, on the last legs of the race, when the other teams dogs are spent and tired, Dallas’s team has a massive amount of “gas left in the tank” to kick things into high gear, and pass everyone for the win. He even goes so far as to rotate his key dogs between running and RIDING in his sled! The key lesson to learn here is, particularly when you are just getting started with a new project or business idea, to NOT burn yourself (or your team) out too soon. While being a champion and a leader can at times be a lonely endeavor, it’s nearly impossible to succeed alone. All champions and winners have coaches and team members. Dallas knows this all too well. Mentored from an early age by his father, a 2-time Iditarod winner himself, Dallas takes a long-term team-building approach to his racing. The average age of the dogs on this years winning team is 2-3 years old. And each year Dallas rotates older dogs out, and new dogs into the lineup. He is building a team that can not only win this year, but can dominate for years to come! And Dallas seems to have a knack for picking and building “leaders” among his dogs. By investing the proper time months before the race in selecting and grooming his top-dogs for leadership roles out on the trail, Dallas ensures when his dogs run into conditions like they did this year, his lead dogs are prepared and unfazed. If you are in business for yourself, I strongly encourage you to take this long-term, leader-building focus with your own team. Don’t just hire someone who can do the job right now… Hire (and train) people so they can do the job when your company is 2-3 times as big as it is now. 7. Champions Know… It’s Not Over — Until Its Over! 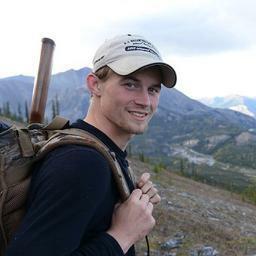 During season 2 of Ultimate Survival Alaska, Dallas’s “Endurance Team” was in last place with only 1 win vs. the other 2 remaining teams having 3 wins each. With only 3 legs of the expedition to go, Dallas realized that his team would have to win ALL of the remaining races or they would be out of the running in the competition. Amazingly enough, that’s EXACTLY what they did. Going back to basics, Dallas set a run/rest schedule for his team for each leg of their adventure, and they methodically and scientifically came back from a seemingly impossible deficit to win ALL of the remaining race legs to be crowned with the title of “Ultimate Alaskan Survivors”. Dallas’s refusal to quit and champion spirt showed itself again during the Iditarod. During the first 7 days of the race, Dallas bounced between as far back 20th place up to 7th place. At no point before the last leg was Dallas in the lead. But true to his methodical, scientific strategy of conserving energy in his lead dogs, and “building the monster” during the last 24 hours of the race, Dallas blasted his way to the front and found himself in the top 3 with only 22 miles to go. Amazingly enough, conditions on the trail were so rough and brutal, the lead was blown off the trail and the #2 racer decided to stop to wait out the storm. Dallas’s preparation paid off, as he passed both of them to take the lead and win. The key lesson to take away from his example is that it’s only “over” if you quit! Keep fighting and pushing until the very end, no matter how far behind you think you are! And Dallas (and the team he trained) was certainly prepared to take advantage of the opportunity when it presented itself. Because of the training and conditions he had exposed his team to over the years, he was confident enough to press on, into the near hurricane strength winds along the Bering Sea coast that stopped the other front runners cold. So the lesson to learn here is that you can create your own luck by preparing in advance to be ready to strike when the opportunity arrives. What will look like “luck” to the 98% of people who “live lives of quiet desperation”, will be recognized by your fellow 2%ers and other champions as a demonstration of your will, dedication, and commitment to prepare. There is value in studying, hanging out with, and modeling the thought processes and behaviors of world-class, champion performers in ANY field of endeavor. Because what it takes to win in business, in sports, in life, and yes… even in dog mushing … is the exact same core set of skills, beliefs, disciplines and mindsets. I challenge you, right now, to commit to following the example of champions like Dallas Seavey and cultivate a winning mindset, train and prepare to win, out-work your competition, charge head-first into the storms of life, and NEVER quit until you’ve won! UPDATE: After winning the Iditarod for a THIRD TIME in 2015, Dallas and his wife invited my daughter and I to visit their home and kennel in Willow, AK to talk with them about strategies for growing their Sled Dog Tour business, an opportunities outside of mushing. Here is a short video I recorded (actually my daughter was holding the phone) after spending the better part of the day together talking about all kinds of topics! Dallas shares some great wisdom about what it takes to be a champion! As an in-demand professional speaker and the founder and CEO of multiple highly successful online and offline companies Eric Graham helps entrepreneurs, authors, speakers and coaches maximize their incomes and magnify their impact on the world. On this blog he shares valuable, actionable and insightful content (articles, videos, tips, opinions, ideas and news) that you can immediately put to use in your business and your life. Follow Eric on Twitter! Join 52,357 Readers & Followers! Do What You Love, Love Who You Do It For! Want To Sell More? Reverse The Risk! DISCLAIMER: THE PERFORMANCE AND RESULTS EXPERIENCED BY THE CLAIMS, COMMENTS AND TESTIMONIALS ON THIS PAGE AND/OR OUR WEBSITE IS NOT WHAT YOU SHOULD EXPECT TO EXPERIENCE. WE HAVE NOT INVESTIGATED, SUBSTANTIATED OR VERIFIED THE FIGURES AND CLAIMS QUOTED IN ANY OF THE USER COMMENTS OR TESTIMONIALS. THE TESTIMONIALS, CLAIMS AND COMMENTS ON THIS SITE HIGHLIGHT UNIQUE AND EXTRAORDINARY OUTCOMES. YOU SHOULD NOT EXPECT TO ACHIEVE SIMILAR OR ANY RESULTS. WITH ANY BUSINESS VENTURE THERE IN INHERENT RISK. YOU STAND A CHANCE OF LOSING MONEY IN ANY BUSINESS ENDEAVOR OR ACTIVITY YOU ENGAGE IN. SOME OR ALL OF THE LINKS, PRODUCTS OR RECOMMENDATIONS MADE ON THIS SITE ARE AFFILIATE LINKS OR PAID ADS FOR WHICH I RECEIVE COMPENSATION OR COMMISSIONS.